William B. Eerdmans Publishing Company, 9780802867957, 659pp. 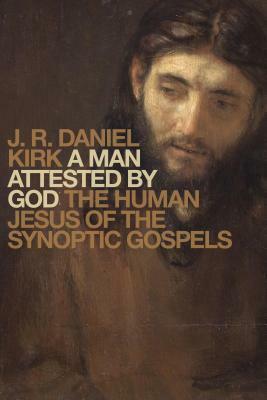 In A Man Attested by God J. R. Daniel Kirk presents a comprehensive defense of the thesis that the Synoptic Gospels present Jesus not as divine but as an idealized human figure. Counterbalancing the recent trend toward early high Christology in such scholars as Richard Bauckham, Simon Gathercole, and Richard Hays, Kirk here thoroughly unpacks the humanity of Jesus as understood by Gospel writers whose language is rooted in the religious and literary context of early Judaism. Without dismissing divine Christologies out of hand, Kirk argues that idealized human Christology is the best way to read the Synoptic Gospels, and he explores Jesus as exorcist and miracle worker within the framework of his humanity. With wide-ranging exegetical and theological insight that sheds startling new light on familiar Gospel texts, A Man Attested by God offers up-to-date, provocative scholarship that will have to be reckoned with. J. R. Daniel Kirk holds a PhD in New Testament from Duke University and has taught at North Carolina State University, St. Joseph's University, Eastern College, and Fuller Theological Seminary. His previous books include Jesus Have I Loved, but Paul? and Unlocking Romans: Resurrection and the Justification of God.